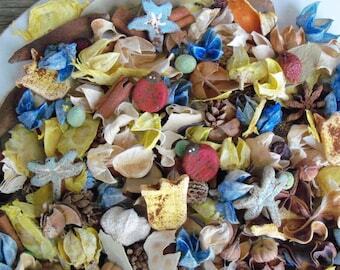 A beautiful potpourri for any season! 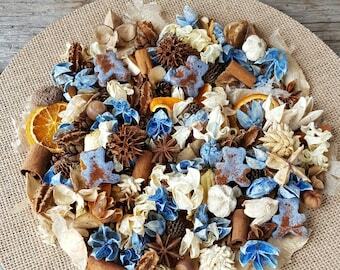 Bumbling Bees Country Potpourri is a colorful mix of dried flowers and botanicals, rosehips, cinnamon sticks, tiny pine cones, pods, dried orange slices and peels, acorns, berries and anise stars with several grubbied saltdough bumble bees! 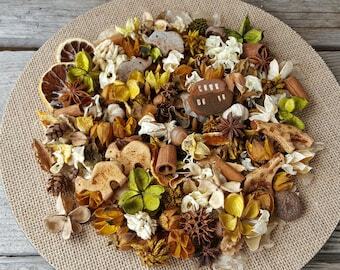 The yellows, whites and earth tones blend together perfectly to give you a cheerful, warm potpourri that will brighten and scent any room in your home. You will receive approximately 4 - 5 cups of the Bumbling Bees country potpourri and 5 large bumble bees, plus a small refresher vial of the scent you choose. It will come packaged in a cellophane bag labelled with the scent you choose. Perfect for gift giving! Each bumble bee is approximately 2.5 inches long and 2 inches high. 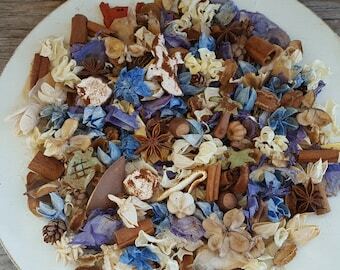 Each is handcut, air-dried to a pottery like hardness, hand-painted, wax-dipped and lightly grubbied with our own cinnamon spice mixture. 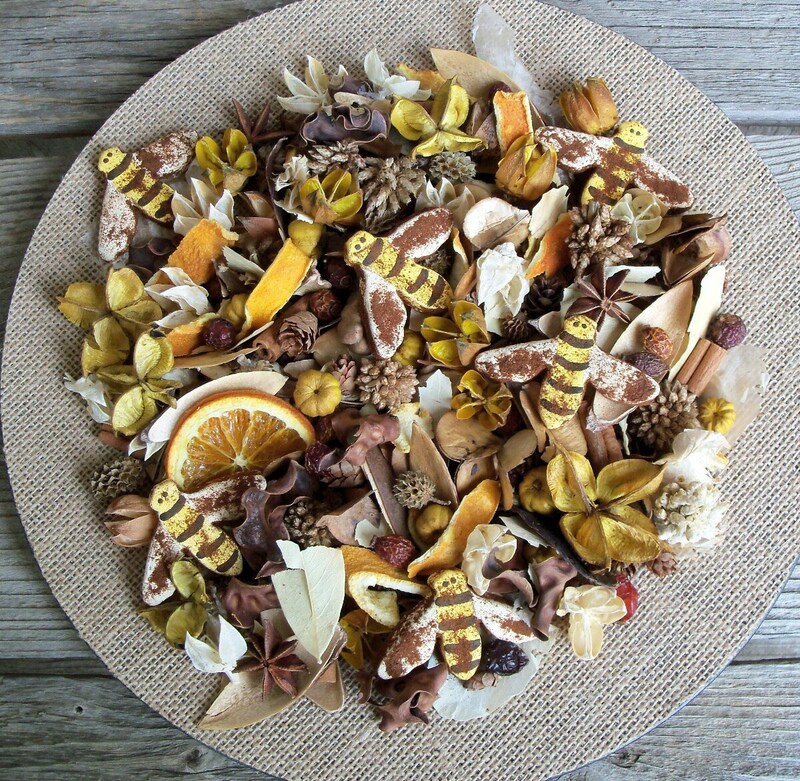 The Bumbling Bees potpourri is heavily scented, but not overpowering. It will scent your room throughout the season. Smells delightful and is visually pleasing! The scent lasts throughout the room!